Multivitamins and meal replacements will often be delighted to tell you that they provide all of your essential vitamins and minerals, but will conveniently leave off one nutrient that’s essential for optimal health: Omega-3 fatty acids. There’s no official recommended daily intake for Omega-3s, perhaps in part because the ideal intake may depend on how much you consume relative to other nutrients (more on that later), but getting your Omega-3s right is a really important part of your health — particularly if you’re an athlete. You might have heard that they’re good for the brain. There’s more you should know. There really is a significant amount of research suggesting that an optimal intake could help to reduce the risk of Alzheimer’s disease and improve functioning for people experiencing other forms of cognitive impairment. (1)(2)(3) There’s even evidence they could improve symptoms of depression, as people with depression sometimes have low blood levels of EPA and DHA, the two main forms of Omega-3s used by the body. The content on BarBend is meant to be informative in nature, but it should not be taken as medical advice. When starting a new training regimen and/or diet, it is always a good idea to consult with a trusted medical professional. We are not a medical resource. The opinions and articles on this site are not intended for use as diagnosis, prevention, and/or treatment of health problems. They are not substitutes for consulting a qualified medical professional. The evidence is a little weaker for boosting cognition among healthy patients, but as a means for keeping a mind healthy for as long as possible, it does seem like it’s not a bad idea to get plenty of Omega-3 fatty acids. (1) But doctors and dietitians might be more likely to recommend Omega-3s for the purported benefits they have on the heart. So that’s all well and good, but what’s fish fat going to do for your lifts? Maybe a lot. But there are other benefits for athletes that might be more surprising. It’s hotly debated as to whether or not fish oil supplements (which contain a ton of EPA and DHA) will lower your heart disease risk as well as just consuming plenty of fish, but experts tend to think supplements aren’t a bad idea if you just aren’t going to stick to a fish heavy diet. (15)(16)(17) But as is usually the case, getting your nutrients from whole foods is probably better. What about the Omega-3s in nuts and seeds? They come with a pretty big asterisk. 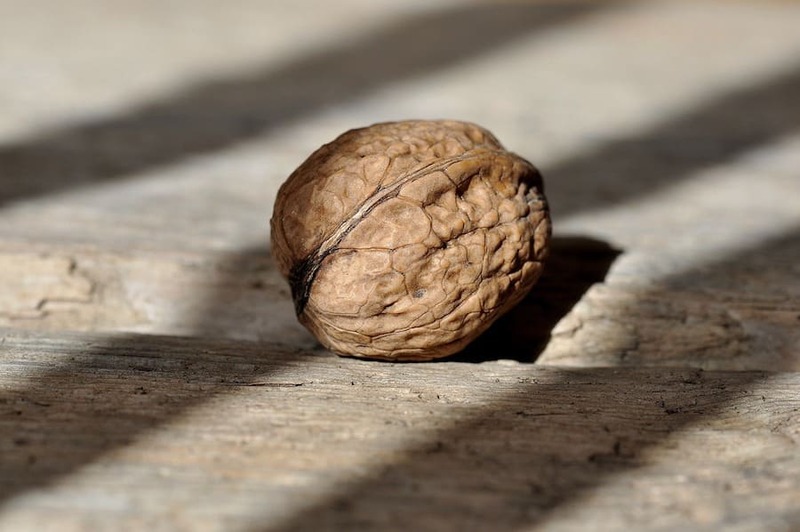 There are three main kinds of Omega-3s and the most common plant-based kind, ALA (or Alpha Linolenic Acid) is the kind you get in chia seeds, flaxseeds, walnuts, and other popular forms of plant-based Omega-3. Again, there’s no officially recommended intake, but experts typically recommend somewhere between 250 and 500 milligrams of Omega-3 per day. You’ll get 500 to 1,000 milligrams of the stuff in about 100 grams of salmon, sardines, tuna, swordfish, and a lot of other fatty fish. If you’re more of a beef person, grass-fed beef has about twice as much Omega-3 as the conventional kind, but you’re still just looking at about 80 milligrams in a 100-gram serving. Fish wins. 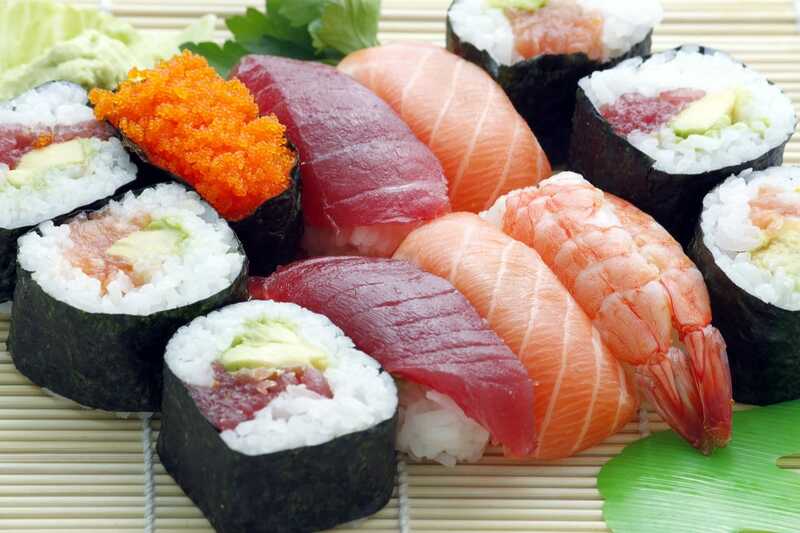 So, seafood is probably your best bet for Omega-3s. If you’re vegan, you’ll want to consume particularly high amounts of ALA, or you can get vegan EPA and DHA from microalgae which is where, by way of a lengthy food chain, most marine animals get theirs from. Microalgae supplements exist if you want plant-based EPA/DHA, but they’re pricy. Finally, a healthy Omega-3 intake should be coupled with a healthy Omega-6 intake. Omega-6 is found in a lot of the fat we’re told not to consume like processed seed oils and fried foods, but also in more “healthy” foods like chicken and nuts. A healthy ratio of Omega-3 to Omega-6 is about 1:3, but these days we typically eat more like 1:20. Omega-3 and Omega-6 compete for the same enzyme that processes them so a lot of 6 means you’re less likely to process the 3, plus high intakes of 6 have been linked to heart disease, obesity, depression, cancer, and so on. 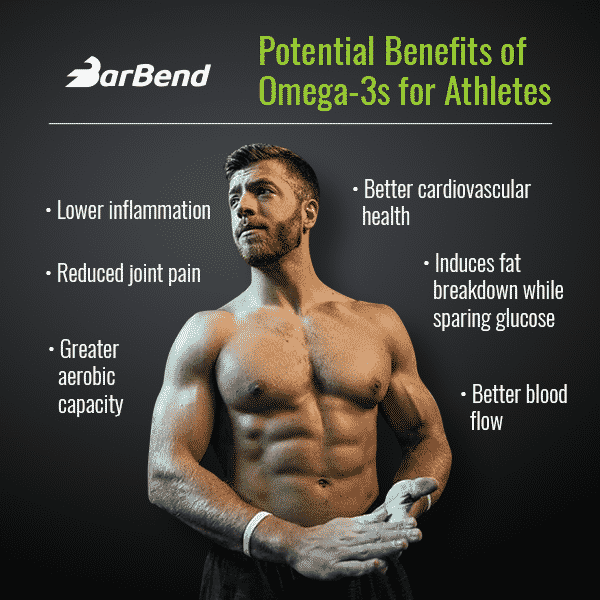 There are loads of reasons athletes should focus on their Omega-3 intake and while we just threw a lot of information at you, the core of good nutrition remains the same: minimize fried and processed foods and focus on naturally-raised food. 2. Cederholm T, et al. ω-3 fatty acids in the prevention of cognitive decline in humans. Adv Nutr. 2013 Nov 6;4(6):672-6. 3. Grosso G, et al. Omega-3 fatty acids and depression: scientific evidence and biological mechanisms. Oxid Med Cell Longev. 2014;2014:313570. 4. Maroon JC, et al. Omega-3 fatty acids (fish oil) as an anti-inflammatory: an alternative to nonsteroidal anti-inflammatory drugs for discogenic pain. Surg Neurol. 2006 Apr;65(4):326-31. 5. Rajaei E, et al. The Effect of Omega-3 Fatty Acids in Patients With Active Rheumatoid Arthritis Receiving DMARDs Therapy: Double-Blind Randomized Controlled Trial. The Effect of Omega-3 Fatty Acids in Patients With Active Rheumatoid Arthritis Receiving DMARDs Therapy: Double-Blind Randomized Controlled Trial. 6. Simopoulos AP. 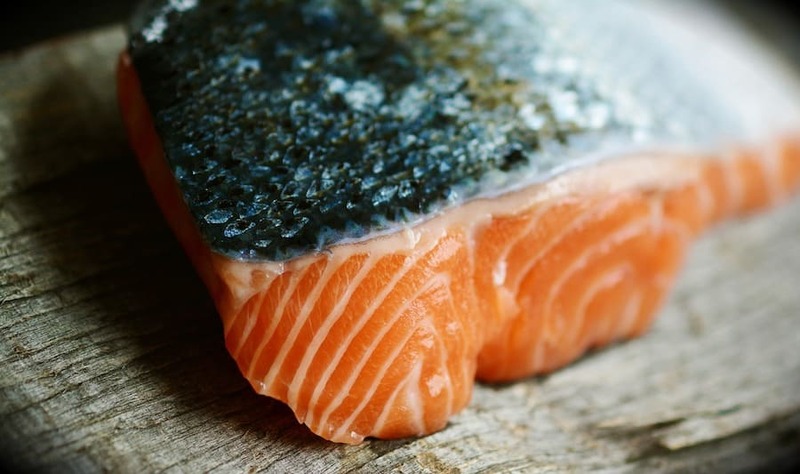 Omega-3 fatty acids in inflammation and autoimmune diseases. J Am Coll Nutr. 2002 Dec;21(6):495-505. 7. Mickleborough TD. Omega-3 polyunsaturated fatty acids in physical performance optimization. Int J Sport Nutr Exerc Metab. 2013 Feb;23(1):83-96. 8. Jouris KB, et al. The Effect of Omega-3 Fatty Acid Supplementation on the Inflammatory Response to eccentric strength exercise. J Sports Sci Med. 2011 Sep 1;10(3):432-8. 9. O’Keefe JH Jr, et al. Effects of omega-3 fatty acids on resting heart rate, heart rate recovery after exercise, and heart rate variability in men with healed myocardial infarctions and depressed ejection fractions. Am J Cardiol. 2006 Apr 15;97(8):1127-30. 10. Couet C, et al. Effect of dietary fish oil on body fat mass and basal fat oxidation in healthy adults. Int J Obes Relat Metab Disord. 1997 Aug;21(8):637-43. 11. Logan SL, et al. Omega-3 Fatty Acid Supplementation for 12 Weeks Increases Resting and Exercise Metabolic Rate in Healthy Community-Dwelling Older Females. PLoS One. 2015 Dec 17;10(12):e0144828. 12. Gerling CJ, et al. Variable effects of 12 weeks of omega-3 supplementation on resting skeletal muscle metabolism. Appl Physiol Nutr Metab. 2014 Sep;39(9):1083-91. 13. Noreen EE, et al. Effects of supplemental fish oil on resting metabolic rate, body composition, and salivary cortisol in healthy adults. J Int Soc Sports Nutr. 2010 Oct 8;7:31. 14. Hill AM, et al. Combining fish-oil supplements with regular aerobic exercise improves body composition and cardiovascular disease risk factors. Am J Clin Nutr. 2007 May;85(5):1267-74. 16. Kromhout D, et al. Fish oil and omega-3 fatty acids in cardiovascular disease: do they really work? Eur Heart J. 2012 Feb;33(4):436-43. 17. Peter S, et al. A fish a day, keeps the cardiologist away! – A review of the effect of omega-3 fatty acids in the cardiovascular system. Indian J Endocrinol Metab. 2013 May;17(3):422-9. 18. Davis BC, et al. Achieving optimal essential fatty acid status in vegetarians: current knowledge and practical implications. Am J Clin Nutr. 2003 Sep;78(3 Suppl):640S-646S. 19. Kawabata F, et al. Supplementation with eicosapentaenoic acid-rich fish oil improves exercise economy and reduces perceived exertion during submaximal steady-state exercise in normal healthy untrained men. Biosci Biotechnol Biochem. 2014;78(12):2081-8.